Suburban cycling “is often seen as a child’s activity” because it doesn’t seem normal, said a new report, Building Bike Culture Beyond Downtown: A Guide to Suburban Community Bike Hubs, released by The Centre for Active Transportation (TCAT) last week. 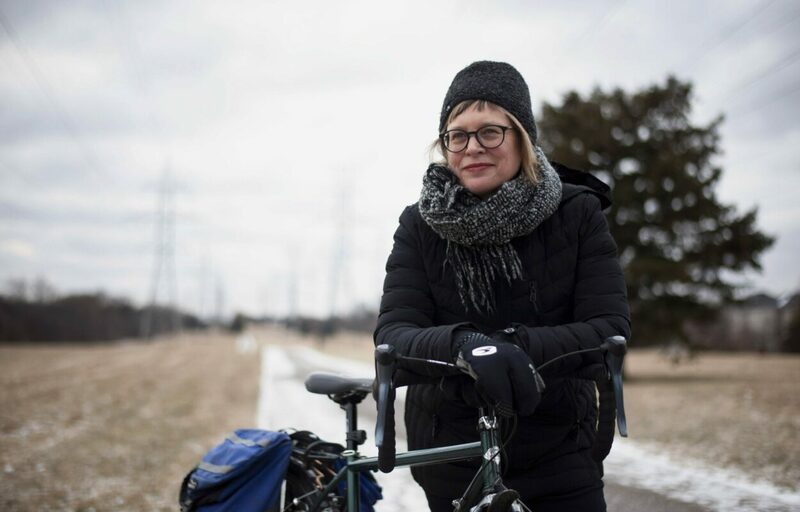 “The fewer people who cycle, the more unsafe it feels,” the group’s director Nancy Smith Lea told cycling advocates from across the city in North York. But the report argues “community bike hubs” can kick-start cycling in the suburbs, and the work of Scarborough Cycles proves it. Scarborough Cycles, the report states, repaired more than 2,000 bicycles, led more than 1,000 people on rides and provided training in cycling skills and bike maintenance at 13 workshops. Smith Lea now sees vast potential for suburban cycling, and she said TCAT’s community bike hub model can be effective for community agencies and municipalities that are interested in increasing cycling in the suburbs. An example of an agency is one that offers health services, Smith Lea said. In its Scarborough Cycles project, TCAT partnered with Access Alliance Multicultural Health and Community Services and it “was important in achieving the goals we had,” Smith Lea said. “With some of these agencies, we found there was a real overlap in terms of mission and goals, but they hadn’t considered cycling as part of the programing they offered to their clients,” she said. While cycling infrastructure like bike lanes is scarce in the suburbs but important for making biking safe and attractive, there’s other elements that make cycling a “viable possibility,” Smith Lea added.